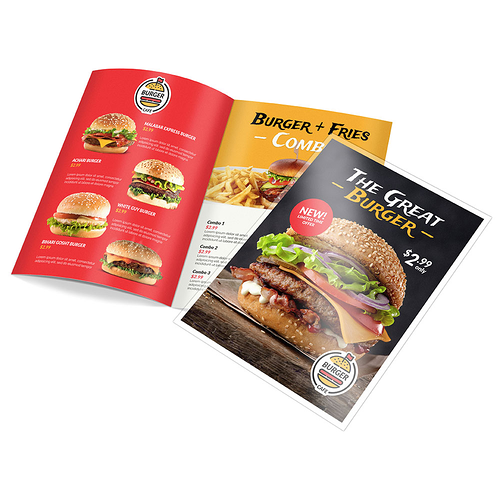 Why invest in quality menu printing? There’s a good reason all the top food businesses take menu design and printing seriously. A well-conceived and beautifully printed custom menu lets you change the dynamics of customer actions and reactions and help you build up the appetites and impressions you want -- and the sales you need. These menus are built for the long haul and are a staple of bars and restaurants everywhere. Dine-in menus feature high-quality stocks and lamination options and are made to take spills and repeated handling day after day without damage. These menus also come with different fold options that let you manage your menu’s content however you want. 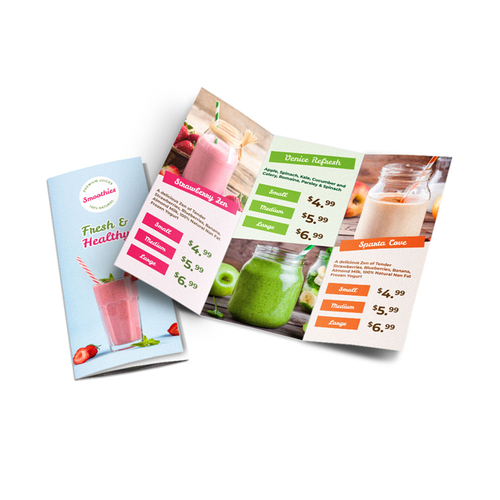 Take-out menus are a great way to extend your restaurant business’s reach. Hand them out to customers to build awareness and make it easy for them to order from home. 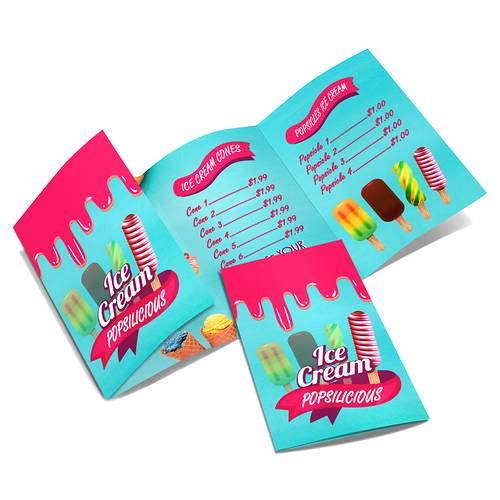 A variety of folding options are offered to suit any menu design. These mini menus have a generous 4” x 10” worth of space, enough to hold a wide range of offers, but fold down to a compact 4” x 2.5” -- small enough to fit in a wallet. These menus are an excellent alternative to larger menus and are a handy and economical way to share your restaurant’s brand with more people. Ready to make your own menus? Check out our menu templates for layout guidelines that will make it a snap to design your own quality menus. Try professional menu printing today.